The region of integration for integral [2.175] is a triangle. By expressing its corners in terms of u1 and u2, we can determine the region of integration after the change of variables. This is graphed below. Exhibit s1: Regions of integration before and after the change of variables. Based upon its bounds of integration, determine how the original integral slices the original (x1, x2) region of integration. 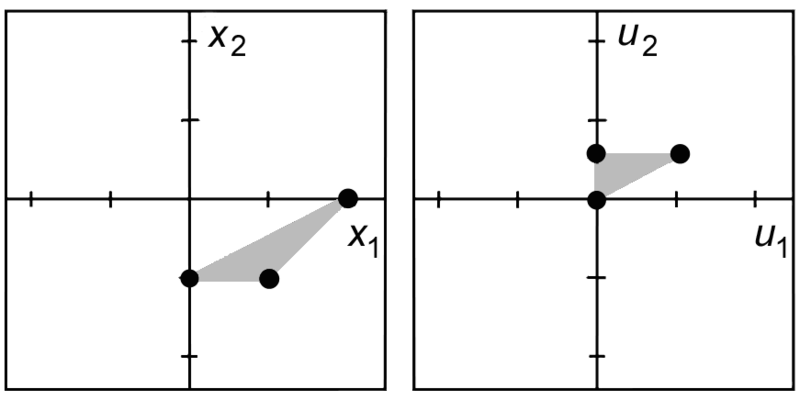 Based upon g, transform those slices of the original region of integration in (x1, x2) space into corresponding slices in the new region of integration in (u1, u2) space. 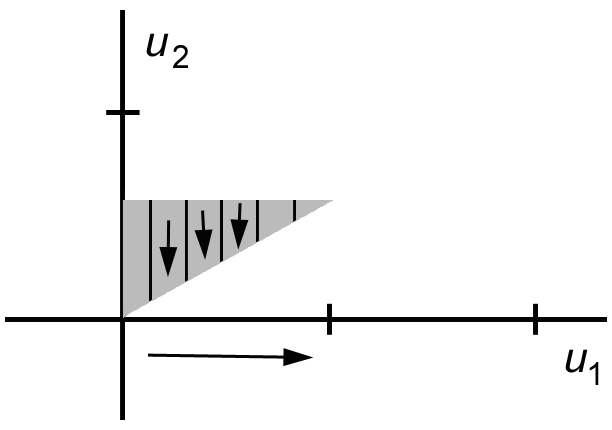 Based upon the slices in (u1, u2) space, determine the new bounds of integration. The following exhibit indicates how the original integral slices the original region of integration. Exhibit s2: Directions of integration for the inner and outer integrals before the change of variables. The horizontal arrows indicate the direction of integration for the inside integral. The vertical arrow indicates the direction of integration for the outside integral. With change of variables g, the new region is sliced as shown below. Exhibit s3: Directions of integration for the inner and outer integrals after the change of variables. Again, vertical arrows indicate the direction of integration for the inside integral. The horizontal arrow indicates the direction of integration for the outside integral. 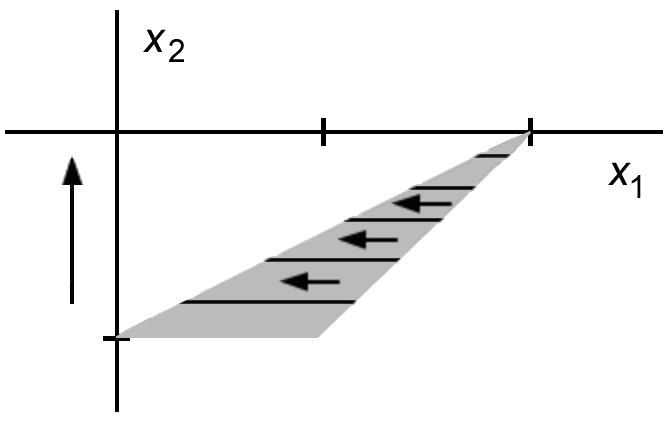 Directions of arrows are inferred by applying the change of variables to the start points and end points of the original arrows in (x1, x2) space.